Although I love cooking and baking, it is just too bad that I can no longer find time for this hobby. However, this does not stop me from collecting recipes in my online recipe box. I still remember a long time ago where I had to cut recipes out from newspapers and magazines and pasted them on foolscap paper! 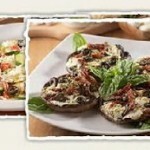 A couple of weeks ago, I came across this recipe site called All Recipes. The difference between this recipe site and others that I stumbled upon so far is that real cooks contribute their recipes to All Recipes! 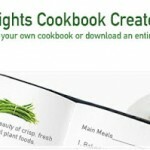 Registering yourself with All Recipes [membership is free] obviously has its benefits like recipe box and cook’s profile. However, if like me, you do not want to register because you have had enough of user IDs and passwords to remember, you can still obtain those recipes for free without hassle! 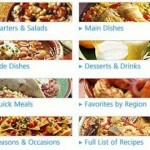 This entry was posted in Recipes and tagged all free recipe, all free recipes, all recipe, all recipes, free recipe, free recipes, recipe, Recipes on February 2, 2008 by Cyberpartygal.